F1 doesn’t quite know what to make of the upstart electric racing series Formula E.
In some quarters, there’s disdain. Bernie has made no secret of the fact that he doesn’t think it will work. He’s reported to have said recently of Formula E: “It’ll make a few quid and then disappear.” Others have written disparagingly of a driver line-up made up of “F1 rejects” and blasted the slower speeds and more civilised noise levels. Elsewhere, there’s dismay over what the newcomer could mean to sports more widely. Interacting with fans directly through the championship’s proposed Fanboost feature seems nothing short of sacrilege to the sporting order, and yet is faintly terrifying to many because it seems to chime with modern society in a way that older sports no longer do. Others simply see money to be made. Hello McLaren (motors and ECU), Williams (batteries) and Renault (branding, integration). And that’s an intriguing statement. Comparing F1 and Formula E is daft; they’re separate propositions, positioning for dissimilar audience segments and hoping to accomplish very different things. F1 builds on a rich heritage interwoven with enough stories of triumph, tragedy, betrayal, revenge and love to rival Greek mythology. Formula E has no such past, but is filled with youthful faces and optimistic plans for environmental, commercial and social sustainability and direct, immediate road car relevance in a way that F1 simply isn’t. As to whether the two could rub along together – well, why not? When John Montagu decided to slap a bit of meat between two slices of bread, he wasn’t inventing anything entirely new. Bread existed. Meat existed. Meat on bread existed. And in other parts of the world, meat inside different types of bread even existed. To the UK, however, the Earl of Sandwich had come up with something that seemed new, intriguing and daring, and thought up by a member of the aristocracy too. It was the equivalent of celebrity endorsement and genius segment creation. We’d call that knock out marketing today, and the Earl would be bought out with several groups of zeroes and offered a job at Facebook or Twitter or Coke or Nike. I wonder what the reactions of the Earl’s peers would have been. Did they view the sandwich as a novelty, a gimmick, a temporary amusement until Johnny resumed his senses and realised that there’s no substitute for game pie, spuds and a barrelful of booze? Did they secretly want to try it? Did they simply want to wait and see if the fuss died down first or what their mates thought before getting involved? Electric racing isn’t new. Electric power isn’t new. 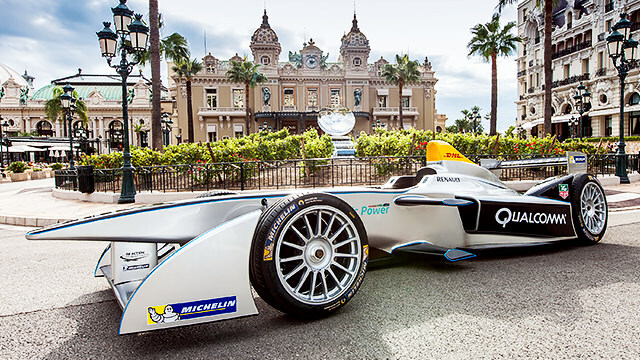 Formula E, though, offers a fresh package and direction. It could well turn out to be the motorsports sandwich – a light addition to the main course for some, but a meal in its right for many, many more.